Daylight Savings Time – check. Arrival of Spring – check. High temperatures in the 70s – check. A weekend without rain in the forecast – check. Major League Baseball’s Opening Day – check. They all check out, so it must be time to freshen your home or office for the sunny season ahead. Always Shine is the Sacramento region’s leader in performing the cleaning that homes and office buildings require this time of year. 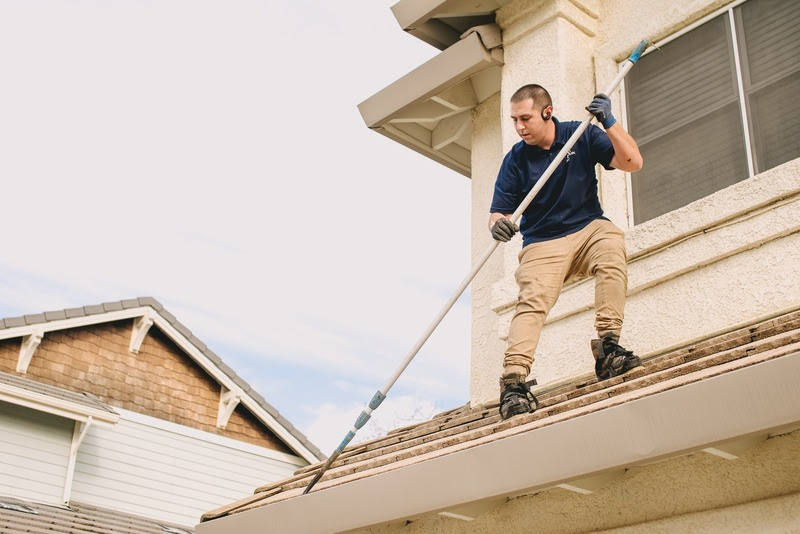 That includes the chore many owners and managers dread the most – clearing gutters of the debris that has accumulated during winter. Mother Nature has thrown a lot at Northern California in recent months. So much rain fell early in Water Year 2019, which began on October 1, that the annual precipitation average was exceeded by early March. We like all that rain, of course. Six of the past seven years had below-average rainfall, and five of them officially were in drought. But that much rain makes gutters ripe for conditions that must be addressed. Leaves and pine needles left to rot in damp gutters can produce mold, and mold is never welcome. Always Shine tackles the job comprehensively by removing the debris, hosing out downspouts, and cleaning up the mess. We’ll also blow away any debris still on the roof to be sure it won’t be washed into your gutters by a late-spring storm. We’ll even haul it all away if you like. With each passing year, more roofs in our region have solar panels that capture energy from the sun. We’ll wash them, too, to be sure your home is generating electricity at peak efficiency. 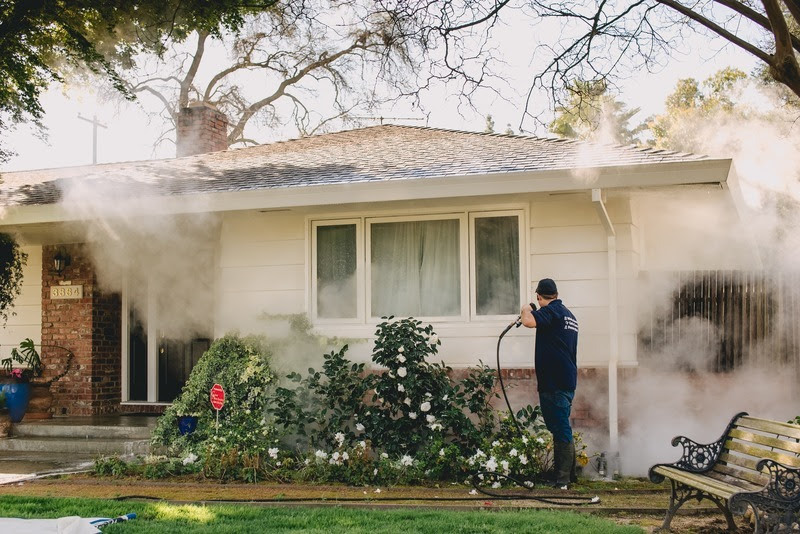 Once the gutters are clean, Always Shine will pressure-wash your home or building exterior, because mold and mildew can be problems there, too. Unattractive grime and grit build up on all exterior types, whether siding, brick, stone, and stucco. Always Shine uses commercial-grade equipment to remove it with heat and steam and biodegradable products. We attack not only a building’s walls but its horizontal surfaces, too. 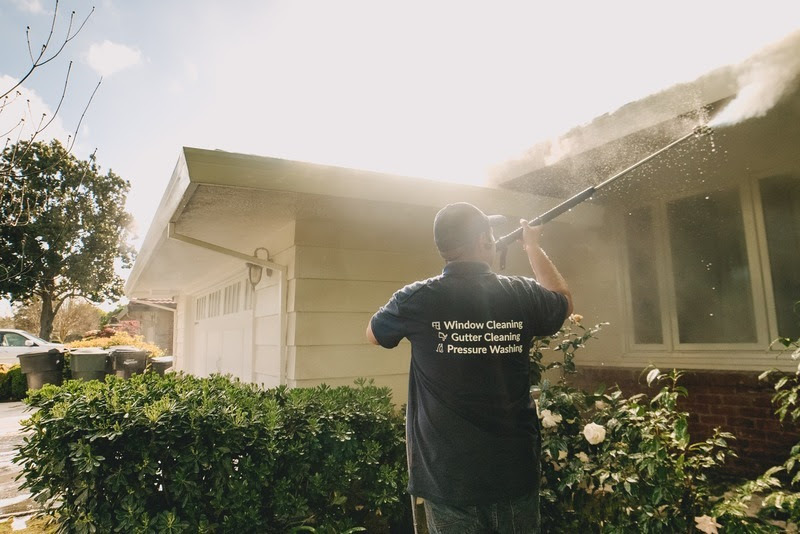 Our pressure washing easily removes discarded gum from sidewalks, and oil spots disappear just as quickly from pads below dumpsters and vehicles. Finally, with roofs, gutters, and exterior walls ready for summer, Always Shine puts the finishing touch on your home or office building by thoroughly cleaning your windows, inside and out. We move furniture out of the way (so you don’t have to), and our skilled technicians ensure sills, frames, and tracks are spotless and in good working order. Always Shine is always ready to help you with the annual spring-cleaning ritual, so place an order with us over the phone or online. We’ll always be there for you!